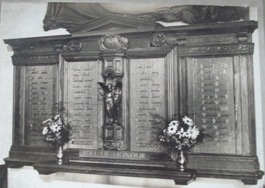 The War Memorial in St James’s Church. On St James’s Day, 25th July 1920, the War Memorial was dedicated to the men who had died in the Great War. It contained 53 names which had been supplied by relatives and friends. There were more men who were lost whose names are not recorded on the Memorial but have been traced by HOW members through reports in the local newspaper, The County Express, making a total of 67. 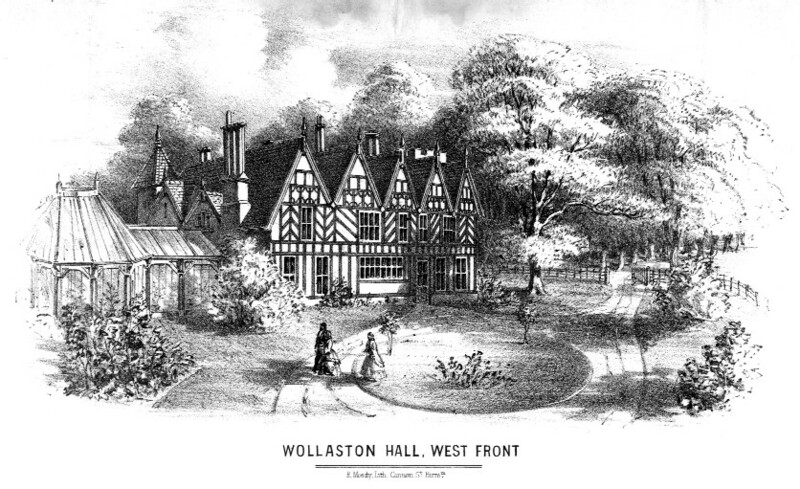 In 1945 the board was reconfigured to include the names of a further 35 casualties in the Second World War although another three men have been found with Wollaston connections whose names were not included. Previous: A very early picture of the School & Church. Next: Rev J.R. Bamber and Rev O.R. Craze.